This functional larynx depicts the epiglottis, vocal cords and arytenoid cartilage. These parts are movable in the functional human larynx. 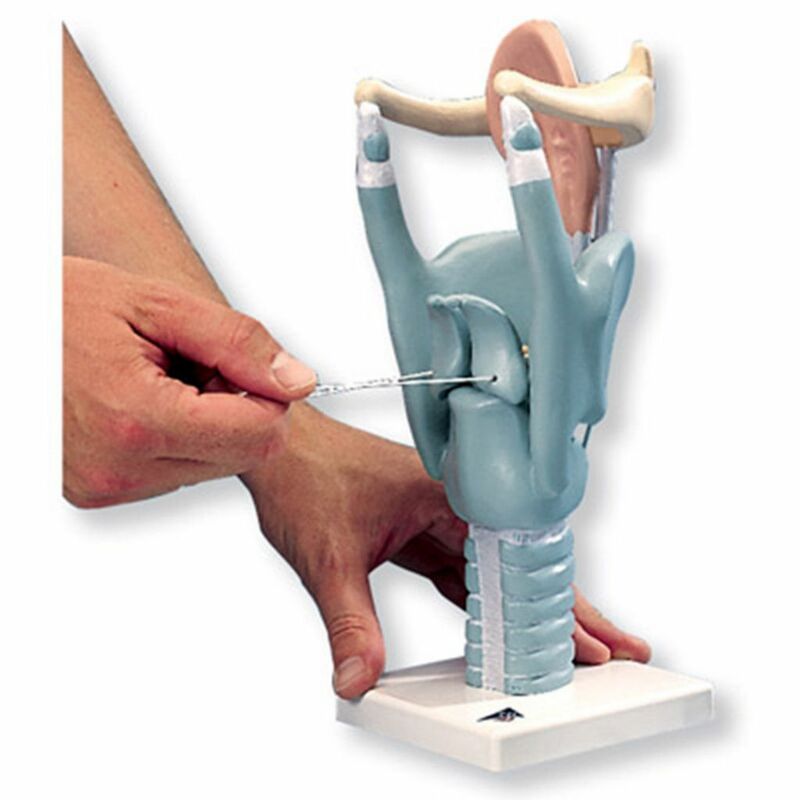 The anatomically correct human larynx is a great addition to any doctor's office or classroom. Functional larynx can be rotated on base.